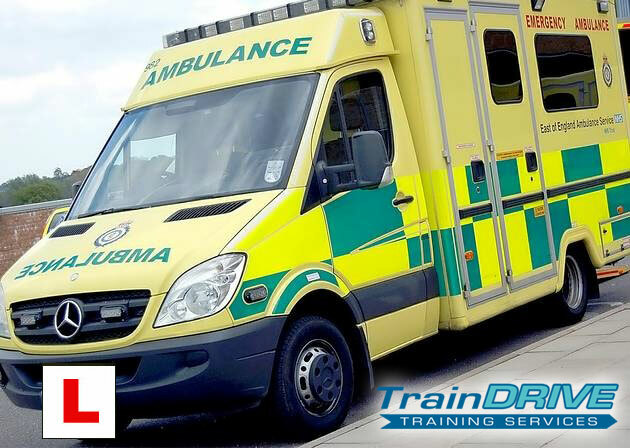 The C1 Ambulance driving licence will provide you with the opportunity to drive any ambulance or vehicle that weighs up to 7.5 tonnes. These vehicles typically include trucks, small lorries and ambulances. 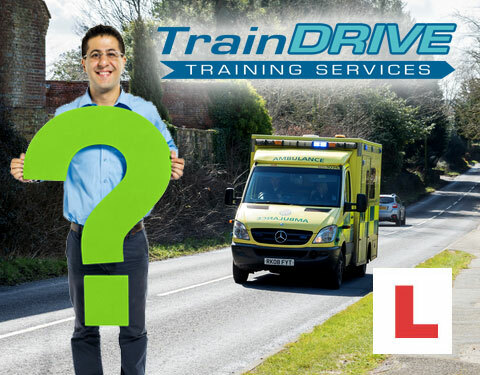 Without your C1 licence you will not be able to pursue a career as an ambulance driver. This is due to that the technique used to drive vehicles that are larger will differ to the smaller ones. In addition, the speeds that you will be traveling in an ambulance require that you are able to develop certain skills. The CAT C1 licence is usually easy to obtain and it is suggested that training courses that are extensive are required in order for you to obtain your licence. Once you have reached the stage that you are able to drive such vehicles in a competent manner you can then apply to take the test. The actual test is regarded as easier than when compared to a standard driving test due to the fact that the art related to driving has already been learnt. Once you have passed the test you will be rewarded with an upgraded license that will afford you with the choices to develop your career in the future in the field of paramedics. You can view your C1 Licence as the initial stage of finishing off the non-medical portion required to becoming a qualified paramedic. Once you have received your licence and you are in the stages of your medical training, the last part of receiving your qualifications can occur which will include the Emergency Response Blue Light Training. The Paramedic Cat C1 Licence will provide you with a way to drive the standard ambulances that can weigh from 3.5 tonnes and 7.5 tonnes. This licence will also permit you to carry 8 passengers and is the preferred type of category for those searching for a way to transport individuals or patients from and to hospitals like the NHS Patient Transport Services. When you do your training and your test you will be driving a 7.5 tonne Mercedes Benz. These up-to-date models feature ABS brakes, Adaptive Electronic Stability Program, air bags and rear-view camera technology that makes the act of reversing simple. The driving course is divided into 2 sections. The first is the Theory Test and the second is the practical test when you will be driving on the road. During your training you will be driving with an expert instructor that will teach you about all the vehicle safety aspects and take you onto the roads whereby you are able to practice driving along the test routes. Any time that you want to make the absolute most out of your career, one of the best things you can do is learn all about ambulance driver training. In most instances, this career path involves driving for NHS or private ambulance providers or hospitals that send vehicles out for people who need to be picked up to receive medical care. There are a lot of ways to go about this and these drivers take on many different roles, many of which involve detailed medical care as well. With this in mind, read on and learn all about the main advantages of going down this career track. If you want to be sure that you are entering a career that never has a dull moment, this is one of the best to take. You will always be able to see new things and know that there is nothing typical about this job. For people who dread the potential 9-to-5 office building lifestyle, driving an ambulance for a living is one of the best careers you can take advantage of. There are a lot of medical careers you can take advantage of, but they typically involve lengthy career tracks which revolve around getting the most experience that you can. For instance, if you would like to become a physician, nurse or take advantage of another medical career, starting out by becoming a driver is an excellent way to beef up your resume in the meantime. This will give you a plethora of experience that you otherwise would not have gotten your hands on, so always do your due diligence in researching the job path and taking full advantage. When you decide to go down the ambulance driver career path, know that you are creating a serious contribution to your community. There are many ways to go about this, but you will be able to get up every morning and know that you are truly making a difference by literally saving lives. Keep in mind that this is also a high-pressure situation, so you should be prepared and always get the absolute best training that you can from companies that provide this sort of training. So with this in the back of your head, you can do all that you can by researching ambulance driver training schools in your area. There are plenty of professionals who would be happy to show you the ropes when it comes to ambulance driving and you will learn the ins and outs which will be incredibly critical to this career path. You never know if a career path will work out for you unless and until you go down that track and get the education that you need. If this career is one that you believe will be beneficial to you, do your due diligence in finding the help and service of a driver training school that will be useful to you. If you are interested in driver training to obtain a 7.5 tonne lorry license, you may need a few reasons to motivate you. When pursuing a career that requires a C1 Lorry license, there are a host of benefits that you can look forward to. One of the best reasons as to why you should obtain an LGV lorry license is to enhance the possibility of obtaining a job that pays you well. When you obtain the right certification involved in driving larger Lorries you automatically improve job prospects. In addition, you will be interested in the fact that there is currently a large shortage of drivers with an LGV certification available in the UK. This shortage has been predicted to reach figures of 150,000 by the year 2020. 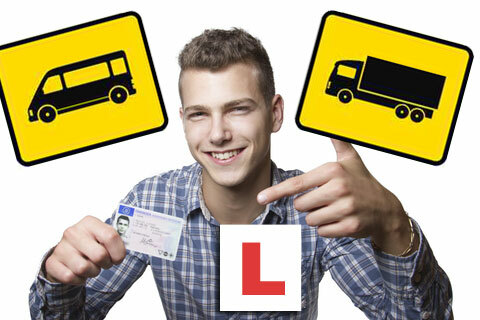 This ultimately means that you will easily find employment once you have completed and passed the training associated with becoming a qualified LGV driver. When it comes to becoming a LGV driver in the UK, you will be able to enjoy plenty of opportunities in career growth. When you have successfully passed this certification and have attained some experience focus on making a positive name for yourself in this industry. This often opens the doors for higher paying opportunities in a short period of time. Many drivers who have worked in this particular industry for many years will state how fulfilling this work can actually be. In most cases, the other driving jobs soon become somewhat monotonous overtime. But when you become an LGV driver you never get the opportunity to get bored as you will probably be able to travel all over the country and experience increased job satisfaction compared to the mundane lifestyle of an office job. Whilst the majority of standard driving jobs are associated with a mediocre pay, the LGV industry is often the exception to this rule. It is possible to find a C1 driving job paying 500 pounds a week. Overall, it is very easy to see that if you take the time and dedication necessary to obtain your C1 7.5 Tonne lorry license, it really can improve your career prospects and the opportunity to earn more money. To complete this certification successfully, you will first need C1 Driver training. You will need to be 18 years or older and have a B licence that permits you to drive a car or light motor-vehicle. You will also be required to pass a medical exam associated with LGV (large good vehicle) as well as complete the D4 Medical Form with an accredited medical-practitioner. You can acquire your provisional C1 license by completing the D2 form as well as applying through the DVLA (Driver and Vehicle Licence Agency). If you want to drive a van, truck or large goods vehicle under 7.5 tonnes, you will be required to pass a C1 driving test. In order to successfully complete the test and be issued the relevant licence, you will first need some C1 Driver training. Be 18 years of age or older. Have a category B licence to drive a light motor vehicle or car. Category A licences for motorcycles will not be sufficient. Pass a large goods vehicle medical exam and complete the related D4 Medical Form with you General Practitioner (GP) or other accredited medical practitioner. A provisional C1 licence which you can apply for through the Driver and Vehicle Licence Agency (DVLA) by completing form D2. Pass the C1 theory test through the Driver and Vehicle Standards Agency. All category C1 trainers are required to be qualified and approved through the DVSA. Training through a non-accredited provider is not recommended. It is also advisable to choose providers who offer one-on-one training where you will receive instruction on an individual basis rather than as part of a class. You should be able to find a number of different training schools online and request quotes from each of them. Fees should only vary slightly between the different providers. You should opt for a training course that runs for 2 to 4 complete days to ensure that all the necessary points are covered. You can opt for 4 hour sessions that will take more days to complete if you cannot dedicate an entire day at a time to the training. It is optimal to spend as much time behind the wheel during the training time rather than learning the theory. However, if you already have some experience driving a large goods vehicle, you may not need extensive driving training. Ask your provider whether they will assess your current experience and choose or tailor a course to meet your requirements. This will save you money in the long run but is only recommended for drivers who have at least some experience. If you don’t have the experience and limit your training time, it might impact on your success in passing the practical test first time around. Your training provider should supply you with a large goods vehicle to perform your practical exam on the last day of your course. The practical exam will be taken at the DVLA and will take 2 hours to complete. It is beneficial to have a last training session on the same day as the practical test. If you were issued a valid B category driving licence (for light motor vehicles or cars) before 1997, you are not required to have C1 licence training London or to take the relevant driving test. These drivers are automatically granted C1 status.